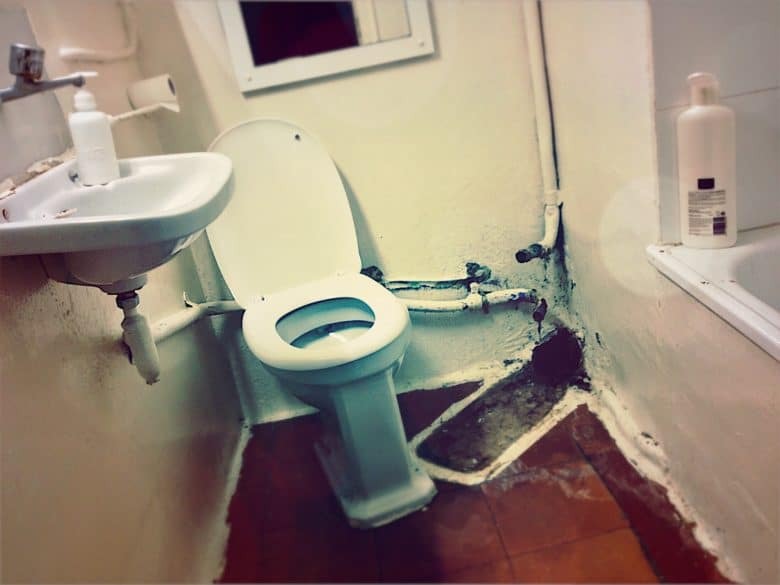 Safely use your iPhone near a toilet. Just not this one. 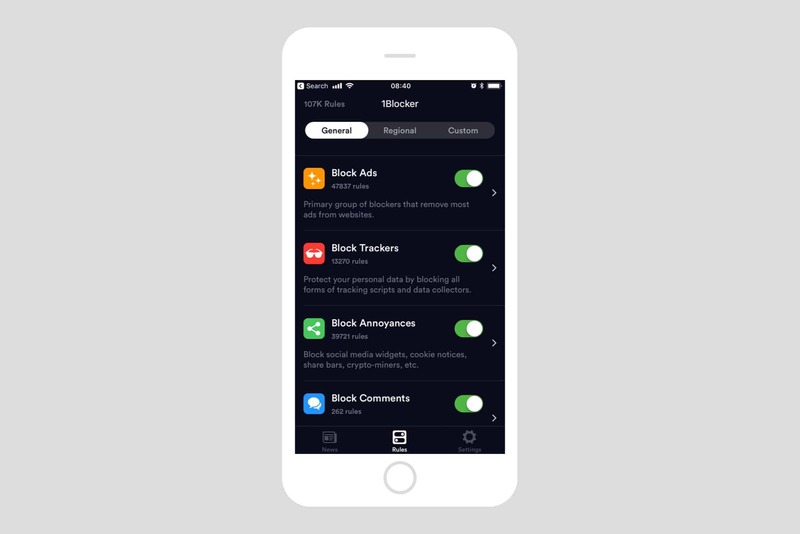 Ever since iOS 9, you’ve been able to block ads, trackers, and other content in Mobile Safari. But as websites fought back, and the content-blocker apps added yet more rules in return, the war escalated. Blocker apps started to hit Apple’s hard limit of 50,000 rules. Probably the most popular and comprehensive blocker is 1Blocker, which just got superseded by 1Blocker X. The new app splits off itself into seven “extensions,” each of which have 50,000 rules, bringing the total to 350,000 rules. This doesn’t just allow 1Blocker X to boast in the app store. It also allows whole new categories of content blocking. The new setup works slightly differently, so let’s see how to get things started. Content blockers, often known simply as ad blockers, allow Safari to block ads, trackers, and other kinds of internet annoyances, like comments, and those irritating Twitter share buttons. The advantages are huge. Ads often contain all kinds of malicious code, which at worst tracks you across the internet, or runs software on your iPhone or iPad in secret1, and at best takes a long time to load, burning through your monthly data allowance. The content-blocker apps don’t ever see your browsing data themselves. They’re just rule-managers. Once you have told the 1Blocker X, say, which rule sets you want to use, it passes them to Safari, which checks them every time it loads a page, and ignores anything you don’t like. It’s a one-way transaction, although if you create custom rules then the app of course has to know about them. The main new feature of 1Blocker X is that allows many more rules. One result of this increased ruleset is that the developer Salavat Khanov has started to add country-specific ad-blockers. Currently these only exist for Russia and Germany, but more are promised. You can also lock the app using Touch ID or Face ID, which is handy if you let your kids use your iPhone or iPad, because it stops them from disabling, says, the rules that block adult sites. Switch on content blockers in the Settings app. Tap the switch next to every one of the new 1Blocker X extensions. You have to enable them all or the app won’t work. If you want to disable one of the extensions, you can do it inside the 1Blocker X app itself. It’s also good practice to only run one blocker at a time, so turn off your old version of 1Blocker, too. Next, launch the app. As you can see here, it looks a lot like the old version of 1Blocker. This is where you decide what to block. Turn on all the blocker extensions you want to use. You may have to wait a few times while the instructions are transmitted to Safari. Also, make sure to visit the Custom rules section and enable — at minimum — the Whitelist, and Hide Element sections. 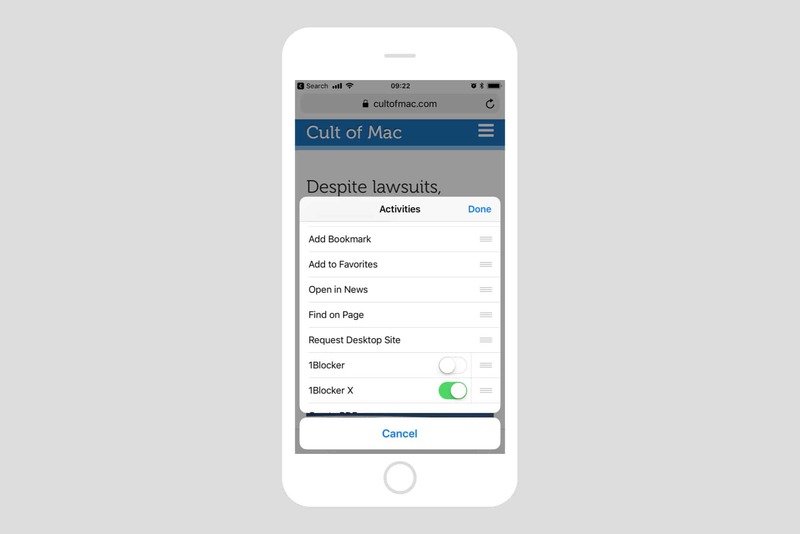 This will allow you to add custom rules on-the-fly, when browsing in Safari. And that’s it for setup, for now anyway. Occasionally you will find a site that doesn’t work properly. It could be that no messages appear on a forum site, for example. Or you just want to allow ads on a site like Cult of Mac, to support its excellent how-tos. To do this, just go to the site in Safari, and tap the Share Arrow. Then, tap the 1Blocker X icon in the bottom row (the B&W row), and follow along. You will then see this screen, where you can whitelist the whole site (disabling all blockers for that domain), or fine tune the settings. Step one: whitelist Cult of Mac. You can even hide elements that 1Blocker X hasn’t blocked. This could be a big pop-up banner that somehow got through the filters, or it could be an annoying avatar image used by someone on a site you visit often. If you don’t see the 1Blocker X icon in Safari, you can enable it by scrolling to the far right of the row of B&W icons in the Share Sheet, and then tapping More. You can then switch all the available extensions on and off, as well as rearranging their order. You can also temporarily disable all ad blockers for the current page by long-pressing on the reload arrow in Safari’s URL bar, and choosing Reload Without Content Blockers from the popover list. You can keep using the old version of 1Blocker, and Khanov says that he will keep updating the rules. Some of you may want to upgrade for the new features, and the way easier-to-use design. Or you may just want to pay your $5 to support continued development of a great app.